Beccy Bland is a talented British Designer based in the UK. Clients include Fashion Brands, using her designs for Apparel, Swimwear and Athleisure alongside Interior clients for both Wallpapers and Furnishing Fabrics. Her work is both Inspirational and Futuristic and her skills whilst utilising both Photography and CAD apparent in the quality of the designs she creates. The AW19-20 trends push digitally created floral print to another level. 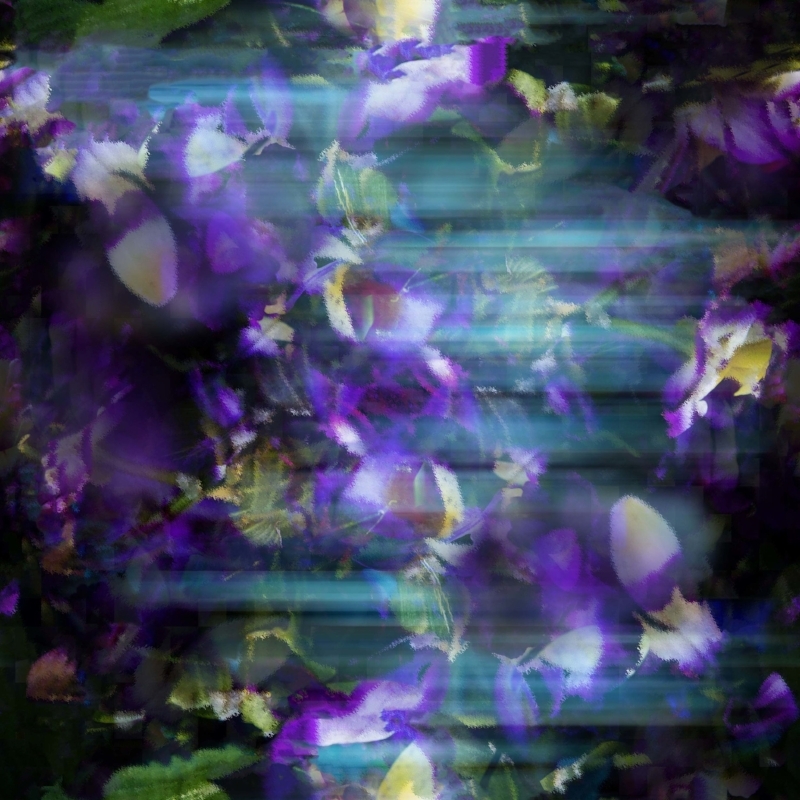 My latest work strongly reflects these future trends - distortion, blurring, abstracted forms/florals, movement, digital chaos overload, mixed-up florals and colours. There seems to be no limits of exploration within this season! Your colours are gorgeous, how do you choose your colour palettes? I’m unconsciously drawn to shades of purple, blues and pinks presently, they are heavily influencing my colour palette. 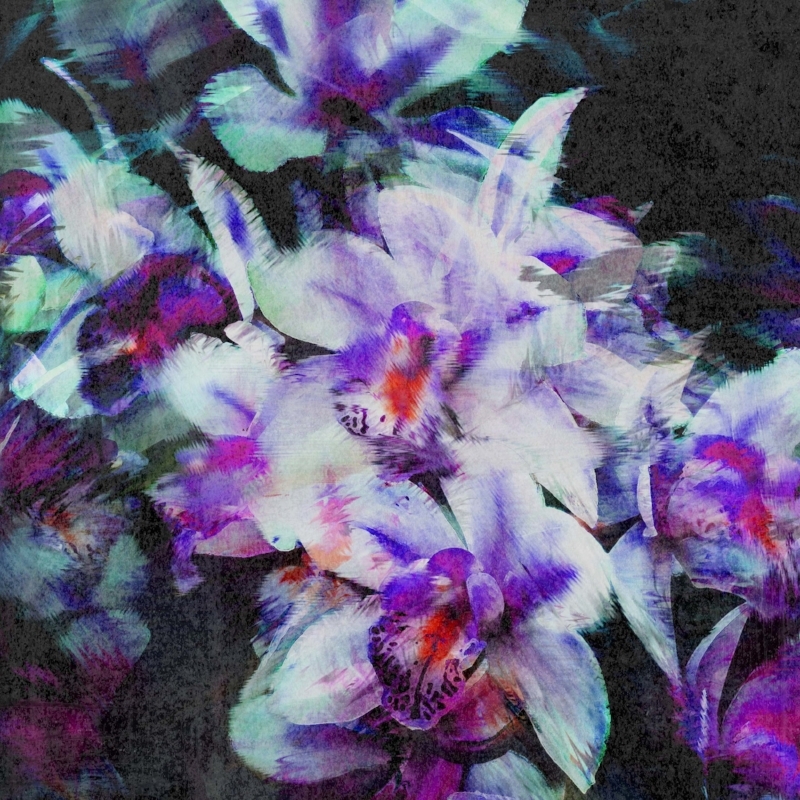 Some with dark undertones that sit well within the popular ‘Dark Floral’ trend. Do you create for Fashion or Interiors? or with an open mind? Open minded, I could see my latest designs sitting well within both groups. Activewear is always at the back of my mind when creating a print as this is an area I’ll eventually market my own work into. I’m starting a dressmaking course this Autumn. Frustrated I can’t easily make affordable samples, I’m going to learn to make my own before I commit to printing for my own brand. What's your favourite flower, where do you like to shoot your photography? Roses! David Austin Roses in Shropshire. I’ve been going for years. My dad has always enjoyed photographing flowers, many happy times going with him. A couple of visits over the summer, enough photos for the next year ahead. Then a close second - Orchids. I recommend - Kew Gardens Orchid Festival, a must-see exhibition yearly. What’s your biggest challenge as a designer? Confidence to branch out and start my own brand. I feel I’m a step closer each year. I have acquired so much valuable experience freelancing over the past years working with regular clients on projects. I’m eager to set up my own brand in the future but first I’ll launch my website in the Autumn. It will showcase my portfolio, where to buy prints and feature a weekly blog.